Astrolabe, the world's oldest astronomical computer. 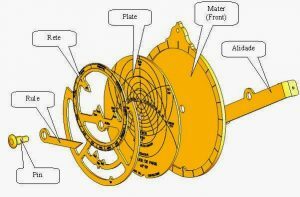 Astrolabe, the world’s oldest astronomical computer. These beautiful instruments were spotted by our space dome team at the British Museum! Do you have any idea what they are? Any educated person from the 13-15th century could not just answer this question but also build the instrument themself! The device on the picture is called an Astrolabe. It was the first computer used to tell the local time and latitude, determine the position of the Sun and stars and find altitudes of the celestial objects. It is hard to tell who was the first to build an astrolabe. Many researchers attribute this invention to the Greek polymath Hipparchus of Nicaea. 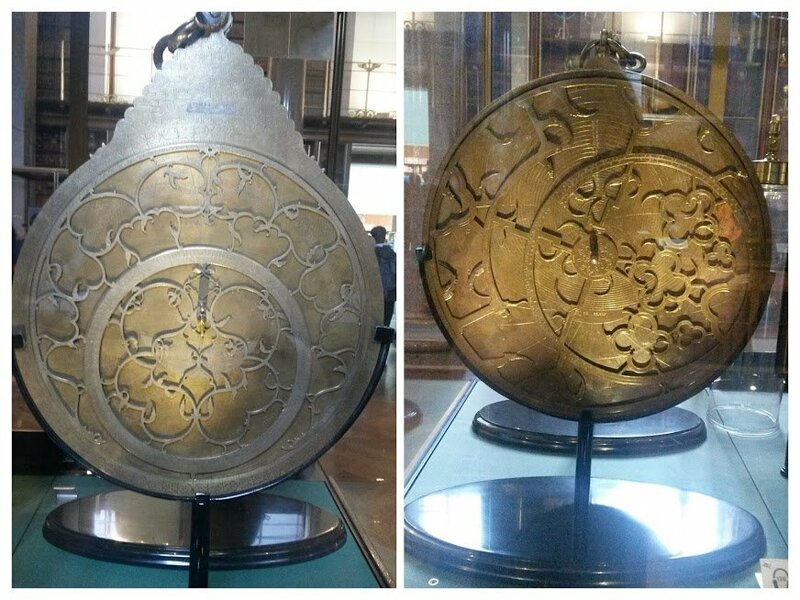 Arabic astronomers widely used an astrolabe not only to study heavenly bodies but also for religious purposes. Using an astrolabe they could determine the North- South direction (and therefore direction to Mecca) and the exact moments of Sunrise and Sunset for prayers. The astrolabe later became popular in Europe and was used by European observers until the 16th century. A simpler variation of an instrument was used for navigation. These days we can only find these beautiful devices in museums. They are usually made out of brass, though researchers think there were many astrolabes made of wood and paper for the common folk to use that didn’t make it to the present day. 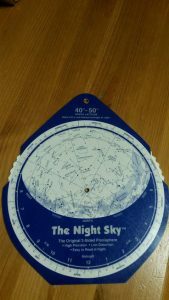 Although the original astrolabe will probably cost a fortune, you can make your very own paper model using this template! Astrolabe looks like two faced disk with lots of scales and moving parts on each side. The main circular part in the middle, holding all the components, is called mater. On the front side of the mater sits a disc with the coordinate grid (sometimes there would be more that one disc depending on the observational tasks of the particular instrument). The rotating part that is placed over the disc looks like a spider web. It is called rete. Rete shows the position of the Ecliptic (visible path of the Sun) and the brightest stars. Rule, another rotating part, is places over the Rete (though some of the models don’t have Rule at all). The main tool on the back side of the mater is an alidade, a rod with two vanes (slits) on both ends for sighting an astronomical object (usually the Sun or a bright star). Chose a star. During the day you will obviously use the Sun. At night, pick your favourite bright star. Hold your astrolabe vertically by the ring at your eye level (put the smartphone away, no cheating!) and turn the alidade so that you can see your star through the slot (at night) or the image of the Sun on the palm of your hand (during the day). Remember: never ever look at the Sun directly! Read the altitude on the limb. That’s the number the alidade points at. 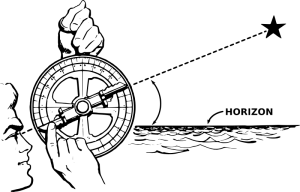 Put your astrolabe horizontally front side up. Find your star on the rete. Turn the rete so that your star matches the altitude you’ve just measured. Move the rule to the right date. Wasn’t that easy? (if you are still not sure how to use it, here is the brilliant video) The best part? That was just one use of this instrument. Persian astronomer al-Sufi described over 1000 different uses of an astrolabe. That’s really impressive. Though you are not likely to use this instrument in your daily life anymore, you still might use its close relatives. A planisphere!